With a client license, you can add another client, i. e. independent databases, on the same server on which the main license is located. If several SQL servers or instances are in use, a basic license with additional modules may be required for the additional server. Additional databases may be added by buying additional clients. 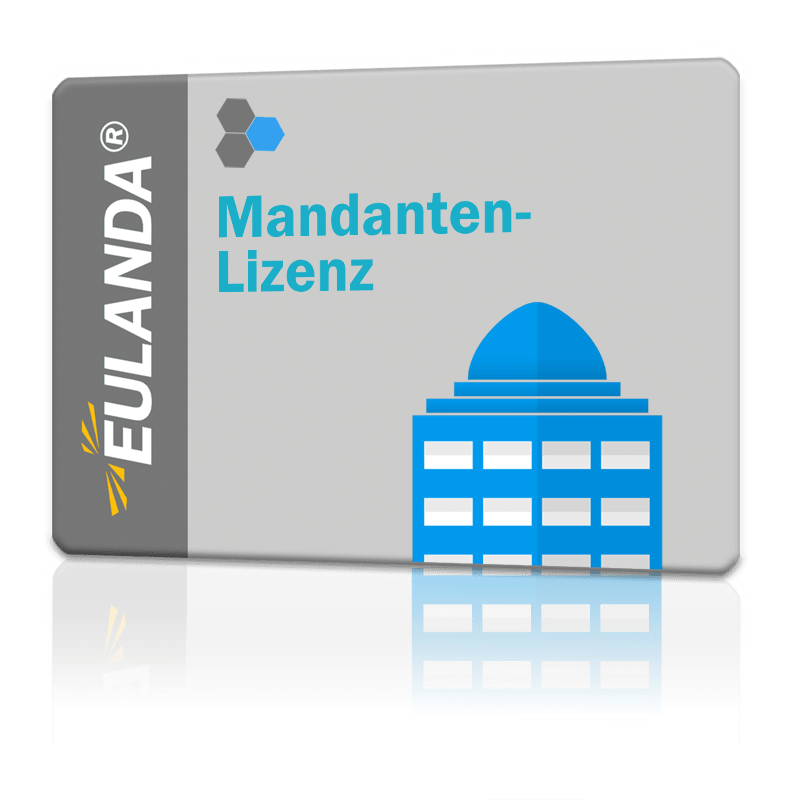 EULANDA® supports communication between databases using rules which are applied while customizing the program.